HICKORY – Lenoir-Rhyne University chases its first victory of the season on Sunday with a home game at 1 p.m. against Mount Olive. Mount Olive swept a doubleheader at Bears Field on Saturday – winning 16-2 and 7-3 to spoil LRU’s home debut – and drop the Bears to 0-4. Mount Olive touched LRU’s five pitchers for 11 hits in the first game on Saturday. In the second game, Mount Olive (4-1) scored six runs in the first inning. LRU starter Alex Shirazi took the loss in the second game and Caleb Bishop was the winning pitcher for the Trojans. The Bears scored three runs on three hits in the second game. Matthew Freeman, E.J. 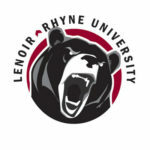 Ranel and Corbin Watson had the hits and Brock Johnson, Ranel and Clayton Jeffries each drove in a run for LRU.